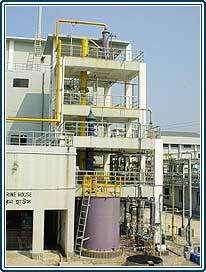 The first one in private sector to install Chlorine Plant / Caustic Soda Plant in Bangladesh. We have provided Bi-Polar Membrane Technology. 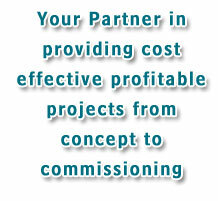 Project was executed in record time and has already completed two years of successful operation. 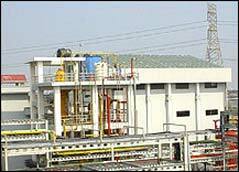 We can provide the complete chemical complex for any capacity. State of the Art Plant based on latest Bipolar Membrane Technology. Product Quality of International Standard. Plant capacity from 10 TPD to 100 TPD. Critical equipment from world renowned international quality suppliers. Upgradation of technology from exiting old technology to latest membrane cell Technology for substantial reduction in power consumption thus cost efficiency. Capacity Enhancement. 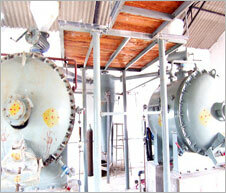 Stable Bleaching powder is produced by reacting calcium hydroxide solids by chlorine gas in counter current fashion. In case of bleaching powder, the available chlorine is same as the percentage of chlorine present hence no wastage of chlorine. Bleaching powder by the convention, contains about 35% or less of available chlorine when freshly manufactured. The raw salt is washed by Saturated Brine Solution. This is a continuous process of pumping of Saturated Brine solution after washing raw salt in the screw conveyor to small clarifier. From the clarification, the thick mud solution of the Saturated Brine is pumped to reaction and mud is separated and collected for disposal as waste product.